It’s a new year with brand new challenges and opportunities! 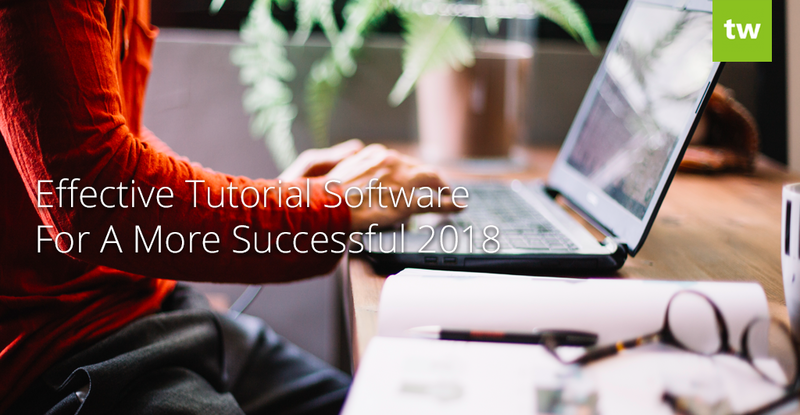 Are you looking for tutorial software that will help your tutoring business flourish in 2018? Teachworks offers highly scalable software that will help you to save more time so that you can focus on other areas of your business. Getting started with Teachworks couldn’t be simpler. Simply register for a free 3-week trial, confirm your account, and set a password. Once you’ve logged into your Teachworks account, you’ll see a blue progress bar at the top of the page. 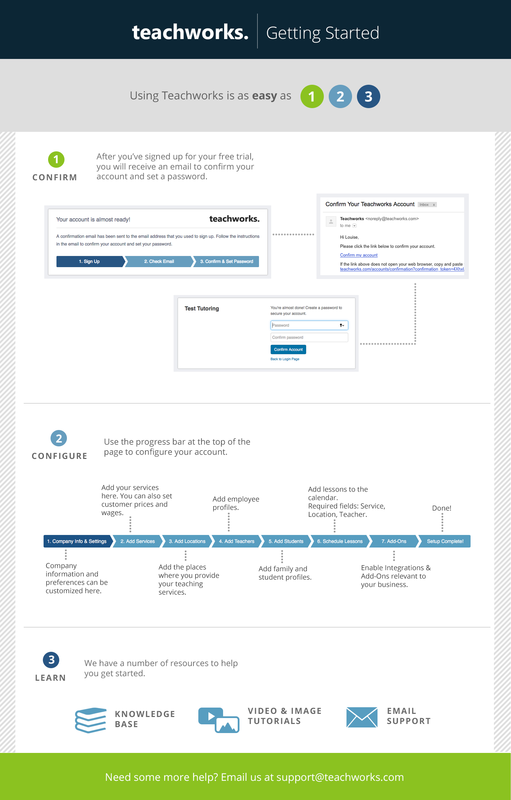 This bar will guide you through all the steps required to set up your account. We usually advise clients to use real business data since this is a great way to see if Teachworks is a good fit for your tutoring business. We’re dedicated to providing our clients with user-friendly tutorial software, which is why we’ve opted for modular design. This design allows you to only enable integrations and add-ons relevant to your tutoring business and ensures that the interface doesn’t become overly complicated and cluttered with features you don’t need. Visit our website for more information about our Free Integrations & Add-Ons. We’re always adding new features to the list, so if there is a feature that you’d love to see, please let us know on our Feature Suggestion Forum. Our knowledge base is filled with informative articles with step-by-step instructions to help you make the most of our features. If you’re logged into your Teachworks account, you can click the information icon at the bottom of the page to access our knowledge base. Use the search bar to type in keywords to easily find an article related to your question. We have a number of video and image tutorials that will help you to get started using the main features in Teachworks. Our dedicated customer support team is always here to help! If you have any specific questions, please email us at support@teachworks.com or click the question mark icon in your Teachworks account to send us a message. We usually respond to questions within 2 hours on weekdays from 9am – 8pm Eastern Time. On weekends we monitor support tickets for urgent requests. To help us help you better, please include a thorough description and screenshots where necessary.